To engage in preliminary work toward formulating a management system involving the Forest Department of Sri Lanka and local community organizations. Less than 5% of Sri Lanka's original cloud forest remains intact. 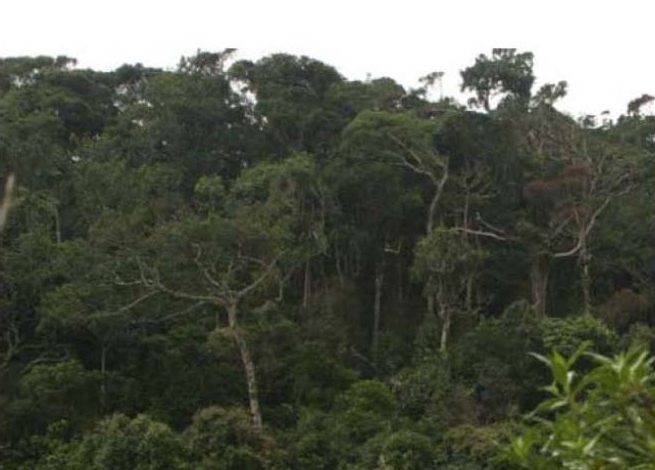 The 1000-ha Morningside property located just east of Sinharaja World Heritage Site was identified as a priority target for conservation, along with several nearby forest parcels. These lands are home to eleven globally threatened species (of amphibians, lizards and freshwater crabs) that are restricted to them. In addition, several globally threatened species with wider distributions also occur there. The headwaters of the Nilwala and Walawe Rivers originate on Morningside, and these forests serve to reduce flooding and erosion at lower elevations. Less than 5% of Sri Lanka's original cloud forest remains intact and what remains is under threat from continued clearing of forests for cultivation and commercial crops. Two biodiversity surveys of Morningside were completed at different times of year (wet and dry seasons). During the first expedition, a new species of shrew and a new species of gecko were discovered and both have now been officially described. 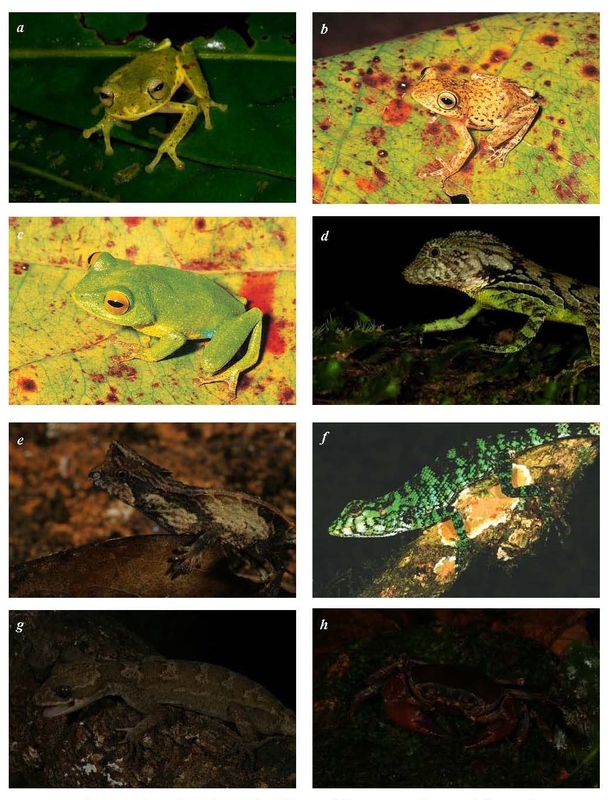 During the second survey, another new species of frog was found. All of these new species are almost certainly endemic to the site and further increase the conservation value and priority of Morningside. Project personnel worked with the Sri Lanka Forest Department and its Land Reform Commission officials on ways to protect the site. A very positive outcome was an agreement that all of the parcels of land currently held by the Land Reform Commission at and in the vicinity of Morningside would be turned over at no cost to the Forest Department for inclusion in the new Forest Reserve. That action was possible due in part to new legislation just passed by Sri Lanka's Cabinet. The net result is that 1000 hectares, including all of the area in which Morningside endemics occur, will be protected in perpetuity. The surveys revealed that cardamom cultivation is ongoing within the forest interior at a higher intensity than previously thought. This indicated the need to explore the potential to modify cardamom cultivation techniques to minimize negative impacts on populations of threatened species. Some preliminary work was done on the process for developing a management plan. This work is being taken on by other conservation players, along with the development of a field station to house reserve guards and researchers, and work with local communities to develop and adapt livelihoods in relation to the new reserve system. Conservation International and a local Sri Lankan NGO, The Wildlife Heritage Trust. Less than 5% of Sri Lanka's original cloud forest remains intact and what remains is under threat from continued clearing of forests for cultivation and commercial crops. The 1000-ha Morningside property located just east of Sinharaja World Heritage Site was identified as a priority target for conservation, along with several nearby forest parcels. These lands are home to eleven globally threatened species (of amphibians, lizards and freshwater crabs) that are restricted to them. In addition, several globally threatened species with wider distributions also occur there. The headwaters of the Nilwala and Walawe Rivers originate on Morningside, and these forests serve to reduce flooding and erosion at lower elevations. At the outset of this project, the properties of the Sri Lanka Forest Department and the Land Reform Commission were at risk of being transferred to other state agencies and might then have undergone forest clearing. That would probably have led to the extinction of many amphibian species whose entire distributional ranges are captured in this landscape. The timing was also critical in that the Forest Department was open to expanding its role to become biodiversity stewards by working with private citizens and NGOs to develop reserves that protect threatened species and provide sustainable revenue for local communities. Success with the Morningside reserve network had the potential to bolster political support for a biodiversity initiative within the department and country in general. Furthermore, protection of Morningside and associated forests could serve as a template for conserving other remaining cloud forests. Threatened species of Morningside: a, Philautus poppiae; b, Philautus lunatus; c, Philautus ocularis; d, Ceratophora erdeleni; e, Ceratophora karu; f, Calotes desilvai; g, Cyrtodactylus subsolanus; and h, Ceylonthelphusa savitriae.